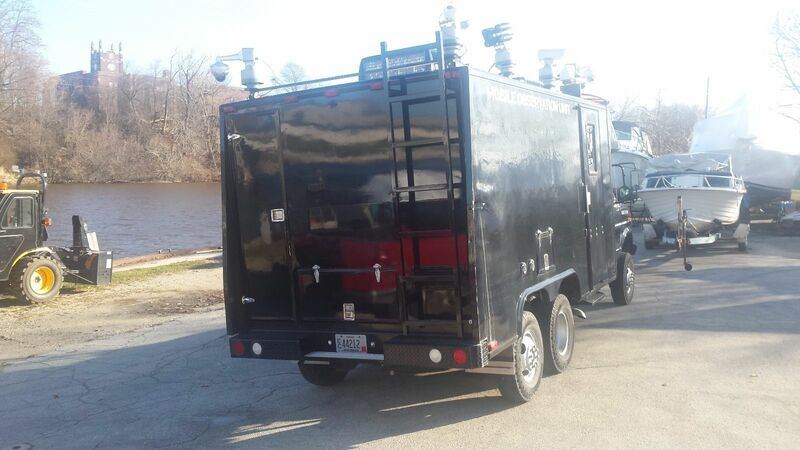 Find this 1988 Ford E-Series 6X6 Worst Surveillance Vehicle Ever here on eBay with starting bid of $15,000 and $16,000 buy-it-now located in Sheboygan, WI. 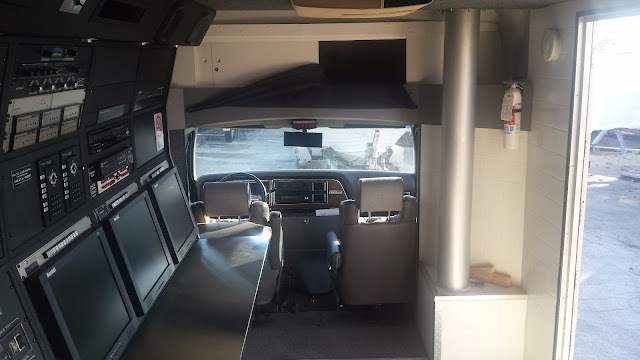 1988 Ford E- 350 custom Mobile Command center or Mobile Observation Unit. This van has a Ford 460 big block gasoline engine, dual gas tanks. The tires have less than 3000 miles on them. comes with a built-in 6500W Onan Generator, battery backup and uninterrupted power supply (Dual batteries for van and dual batteries for back up power supply. 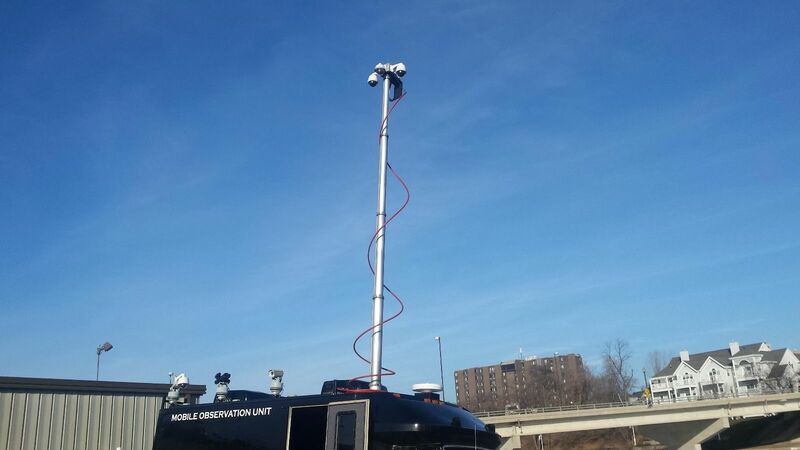 Two roof mounted air conditioning/heating units, stainless steel counter tops, and a built-in compressor to operate the 35ft telescopic pneumatic camera mast and rear suspension. Outside RF hookups for cameras. Electronic equipment was updated in 2013. Very lightly used its entire life which has mostly been stored inside until a year ago. 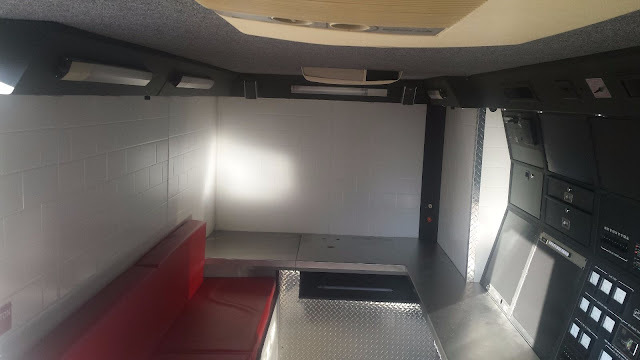 Interior is in great shape. Still has all of the equipment racks, controls, back up power supplies and drawers. 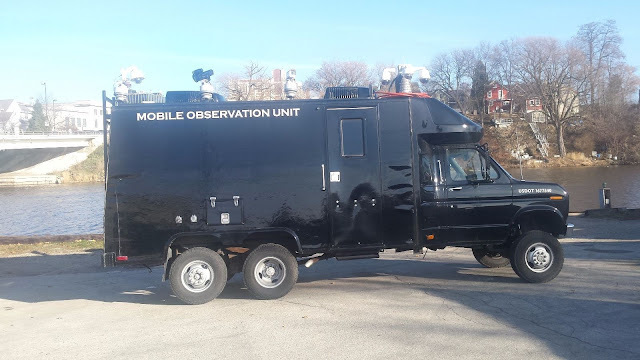 Looks like it would be perfect for when you want to send a message along the lines of, "Don't start anything, the cops are really serious about watching you!" Or for using as an RV when you want everyone in the nearby campsites to completely freak out. Neat truck, but now I can't stop hearing John Candy say "Sheboygan"
You know...polka, polka, polka, twin lakes Polka? I am confused yet in love with the cinder block wall on the inside of the van, is this thing blastproof or do the occupants challenge each other to graffiti tag practice in the wait time between assignments? Pretty sure that is tile/fake tile. I had the same thought. It's probably just foam, but it sure does look like a crappy institutional grade cinder block wall. If I lived in Sheboygan, WI... I'da had hundreds built.... cause it's definitely NOT safe there..
She Bangs She Bangs but does she Sheboygan......i gostoknow....!